Asbury is a community of faith creating disciples for Jesus Christ. We are a growing church in the North Shelby County area and welcome all who wish to share our journey of worshipping the Lord and creating a community where everyone is welcome to experience and learn the teachings of Jesus Christ. We offer many opportunities to worship including two Sunday morning services in the Sanctuary, Celebrate Recovery worship, Youth worship, and "Around Here" which is primarily for college age but all are welcome. We have several small group settings centered around exploring God’s word. We also have many community activities for all ages to help us grow and strengthen our faith . We welcome you to come and worship with us at any of our offerings. Please browse our website for more information about Asbury. We were chartered as a church on December 20, 1970, and dedicated the current sanctuary and education wing in 1995. Beloved Community is a diverse, welcoming, grace-filled community that “celebrates all people as precious children of God.” It is a sanctuary for many people who have not felt at home in traditional churches. People from all walks of life come together to grow in relationship with one another and with God. Beloved Community is a gathering of people who seek healing and wholeness for themselves, their city and the world. We are an Open-and-Affirming Congregation of the Southeast Conference of the United Church of Christ. At Beloved Community, you may always come as you are and be who you are and grow toward who you were created to be! Bluff Park UMC is a seven day a week church. In addition to the exciting Sunday schedule, there are many other ongoing programs and activities. During Christmas and Easter, special worship services are provided. In God’s glory, we are committed to equipping Christians to worship God and to reach Birmingham to reach the world for Christ. 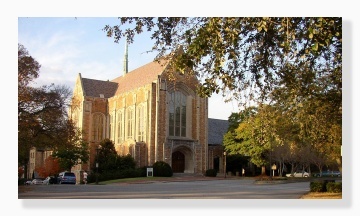 Canterbury Episcopal Church is located on the campus of the University of Alabama, Tuscaloosa. A weekly farmers market takes place on the lawn during the summer months. Building lives through worship, learning and service. Chelsea Church of God welcomes you. CrossBridge Church of Christ exists to glorify Christ and exhibit a passion for God. Seeing Christ through the eyes of our children, we become God’s children. Touching the lives of those for whom He gave His life, we build bridges to His grace, love and hope. In His hope we find our Life Walk with Jesus. Dawson is a church family that seeks to be found faithful as God’s people. Discovery UMC is located in the Hoover community of Trace Crossings at the corner of Stadium Trace and Brocks Gap. Conveniently located off I-459 at HWY 150, within one mile of both Hoover High and the Hoover Met. Located in the parking lot of East Lake United Methodist Church. Drop by for worship, Bible studies, and more!! Eden Westside is a place to heal, help and call home. 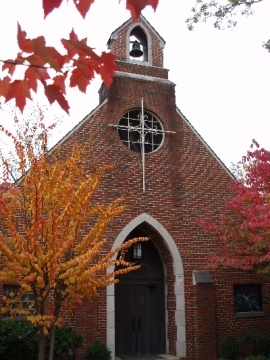 Edgewood Presbyterian Church is a magnet church, with a unique ministry which draws its diverse membership from throughout the Birmingham metropolitan area. Like a magnet school, Edgewood’s unique approach to ministry –open-hearted, open-minded–provides a refreshing alternative for believers and seekers alike. Worship at Edgewood taps ancient church tradition, as well as contemporary informality. Dress ranges from suits to jeans. Classes provide access to modern biblical scholarship and contemporary theological thought. Gardendale-Mt. Vernon United Methodist Church is located next to the Big K-Mart on US Highway 31 at the intersection with Fieldstown road in Gardendale. Greater Shiloh Missionary Baptist Church has been in existence for over a century which immediately speaks of the stability of our membership. 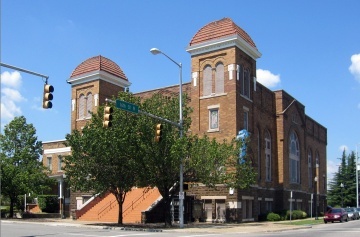 The church is anchored in the heart of the West End Manor Neighborhood of West End, a community located in the southwest area of the city of Birmingham. Our membership consist of an active senior citizens group, a large population of middle age persons, and a strong delegation of young adults, youth and children. Members come from both within the West End Community and from all over the Metropolitan area. Members travel weekly to our location from as far South as Alabaster and Shelby County, to the North as far as Gardendale. Members come from as far as Moody on the East and from Bessemer and McCalla from the West. Many of our members, old and new, have discovered the JOY of Greater Shiloh Missionary Baptist Church through our wonderful ministries. If you are looking for a church home or simply seeking a Bible teaching church feel free to visit Greater Shiloh Missionary Baptist Church. WELCOME TO HIGHLANDS UNITED METHODIST CHURCH, WHERE EVERYONE IS WELCOME! DIVERSE. PASSIONATE. INVOLVED. You will find our congregation to be warm and inclusive, and focused on the gospel. Our diverse church family includes people from many backgrounds and cultures, from urban professionals to young families looking for ministry opportunities for themselves and their children, from grad students to the homeless. Our local ministry opportunities and varied Sunday School classes provide spiritual growth and ministry opportunities for everyone. And with a strong range of children’s programs, we provide a particularly friendly environment for growing families. Whatever your background, we invite you to come and develop meaningful, supportive relationships with other believers. TRADITION OF REACHING PEOPLE IN NEED. Chartered in 1903, our church building is strategically located in the heart of Five Points South—just behind the landmark fountain, convenient to Birmingham’s cultural district and many area suburbs. This central location provides us with a distinct ministry advantage, enabling us to make a positive, practical difference in the lives of the homeless and needy in urban Birmingham. We believe this imperative to reach out to others is at the very heart of the gospel. Our continued outreach to the surrounding homeless through our community ministries provides authentic opportunities for all believers to discover and use their ministry gifts. VISION OF GREATER URBAN IMPACT. Highlands is in an exciting season of growth. Together we’re moving toward a vision of even greater urban ministry as we grow together. Whatever your background and wherever you come from, Highlands is a place where you can belong, and where you can make a vital difference in the lives of others. HIGHLANDS’ MISSION Highlands United Methodist Church is a community of disciples of Christ; a beacon of hope, inviting all to become new persons in Christ to be sent into the world to share the Gospel and to serve our neighbors; and a sanctuary for those in need of God’s love and grace. Holy Infant Of Prague began in 1939 when Fr. John A. Bratton celebrated Mass twice a month in a vacant apartment in the newly completed Cahaba Housing Project of Trussville. A census of Trussville was completed in 1940 showing fifty Catholic families in the surrounding areas. The following year Bishop Toolen appointed Fr. Frank Giri as first Pastor in preparation for the building of the church. With the first initial donation of $5,000.00 by Monsignor Fulton J. Sheen, land was purchased on Hewitt Street. Monsignor Sheen chose the name Holy Infant of Prague and ground was broken on August 31, 1941. 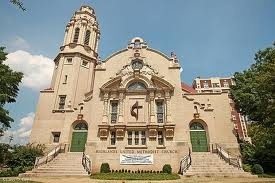 Holy Infant was dedicated on May 10, 1942 by Bishop Toolen. First resident Pastor was Rev. Joseph Adams who was appointed June 21, 1947. Fr. James Gallagher became Pastor in 1951 and built the Parish Hall. Rev. Charles Bordenca was named Pastor on February 3, 1967. Fr. Bordenca enlarged the Church during his time here. Holy Infant remained around 100 to 125 families from 1969 until 1987. Birmingham is home to the seventh oldest Greek Orthodox parish in the United States. The Cathedral architecture is breathtaking. Parish hosts an annual Greek Food Festival each fall. Independent Presbyterian Church was founded in 1915. 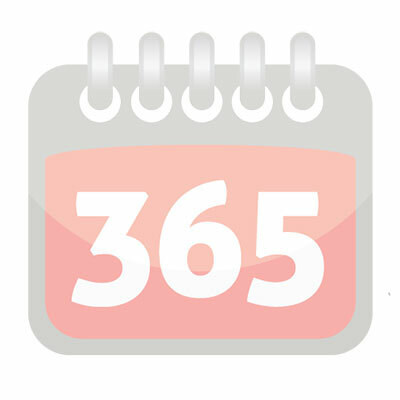 In that year a group of members from South Highland Presbyterian Church, a congregation of the Southern Presbyterian Church, withdrew to form a new church. This group was dedicated to the proclamation of the gospel in Birmingham and a ministry of community service. During the next seven years, under the dynamic leadership of Dr. Henry M. Edmonds, this new congregation worshipped in Temple Emanu-El and also held evening services in the Lyric Theater. In those years, the church was among the first social service agencies to initiate programs for community services in public health, child welfare and legal aid. In 1922, the congregation established the Children’s Fresh Air Farm on Shades Mountain in the Bluff Park area. The sanctuary was completed in 1926, representative of the English Perpendicular Gothic style and is topped by a French style spire. The striking stained glass windows were executed by the D’Ascenzo Studio of Philadelphia and the Connick Studio in Boston. The original organ was built in 1925 by the E. M. Skinner Company. It was rebuilt and enlarged in 1969 by the Aeolian-Skinner Company, bringing its size to 75 ranks. In 1974 an antiphonal organ was installed in the rear gallery by the M. P. Moller Company. In 1992, a devastating fire destroyed all of the church buildings except the sanctuary. New construction over the next two years resulted in new buildings for educational and other program ministries. Independent Presbyterian Church is now a congregation of 2,200 members and continues to support ministries dedicated to the glory of God, including excellence in worship, music and fine arts, child and adult education, congregational care and community and world missions. Integrity Bible Church established by God to exemplify its name,"Integrity". Integrity – to be true, honest, innocent, and possess high character standards. Integrity Bible Church has been ordained by God (and positioned on the Eastern side of Birmingham, Alabama) to demonstrate excellence and to exemplify and teach Godly character (Integrity) to all whom the Holy Spirit leads here, causing it’s members to be guided to a lifestyle of victory (Proverbs 11:3).